Ford Racing Camshafts allow you to increase performance idle and exhaust note without all the worry of quality and durability. 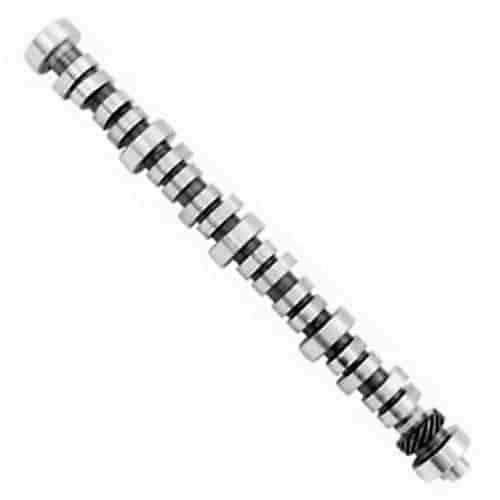 Factory Ford camshafts have to make compromises in some areas to be appealing to a wide range of styles and tastes. Ford Racing Camshafts are designed for folks that like more life from their engine. If you want the most horsepower you can get without compromising on drivability or reliability Ford Racing has a camshaft to suit your preferences and engine modifications. Many camshafts will require changing valve springs or additional bolt on modifications to reach their maximum potential. Does Ford Performance M-6250-B303 fit your vehicle? I have a stock 5.0 with a auto, 3:73 rear gear, and a 2500 stall convertor, when switching to this cam will I need my ecm tuned or will stock tune be ok? You will need to get your car re-tuned with this cam. It will not run well without it. No, this is not approved. We do not currently have a CARB approved cam for the Ford engine.